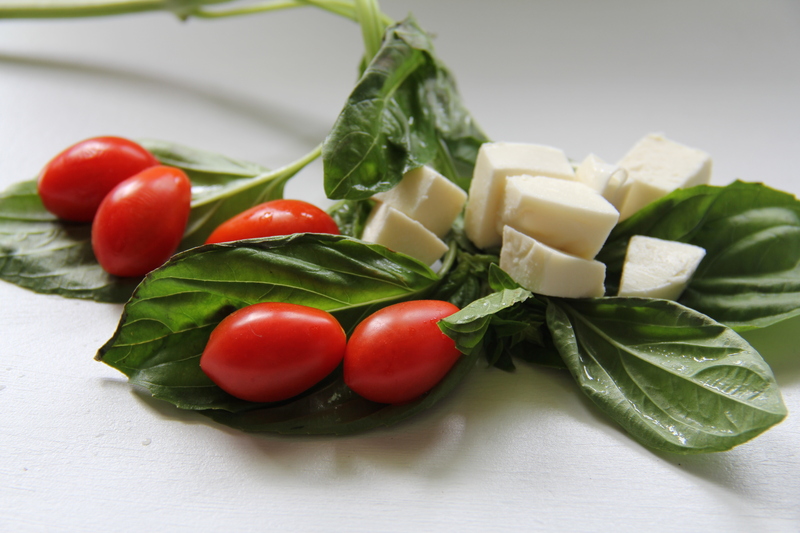 Ok, if you’ve heard me say it once you’ve heard me say it a million times- I LOVE the combo of fresh mozzarella, tomatoes, and fresh basil. Like last supper request LOVE this combo. We frequently make our own version of margherita pizzas on the grill (probably once a week actually), so we always have this stash hanging out in our fridge. This past weekend my dear friend and I hosted a going-away party in honor of our Bible study bestie Stacey. A quick blog shout-out to Stace…we pray you will truly enjoy your new adventures God lays before you.We love you! 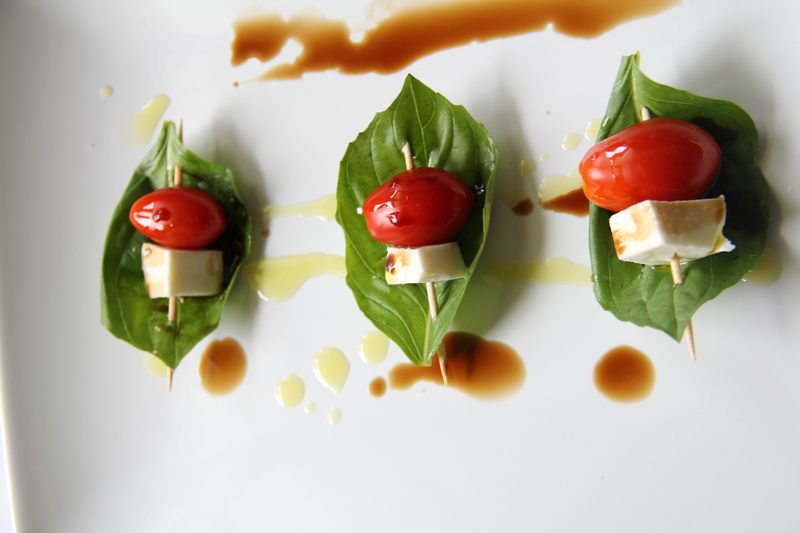 Back to party planning, my friend pinned a recipe for Caprese bites and thought that’d be a great summer party appetizer. I agreed and asked if I could take the helm to create these lovely bites. I think you’ll find they are not only delicious and nutritious, but super easy to make! Instructions for assembly: Wash the tomatoes and basil. Cut up the ball of fresh mozzarella into bite size pieces- one ball yielded about 35 small chunks. Next take a toothpick and skewer one end of the basil leaf. 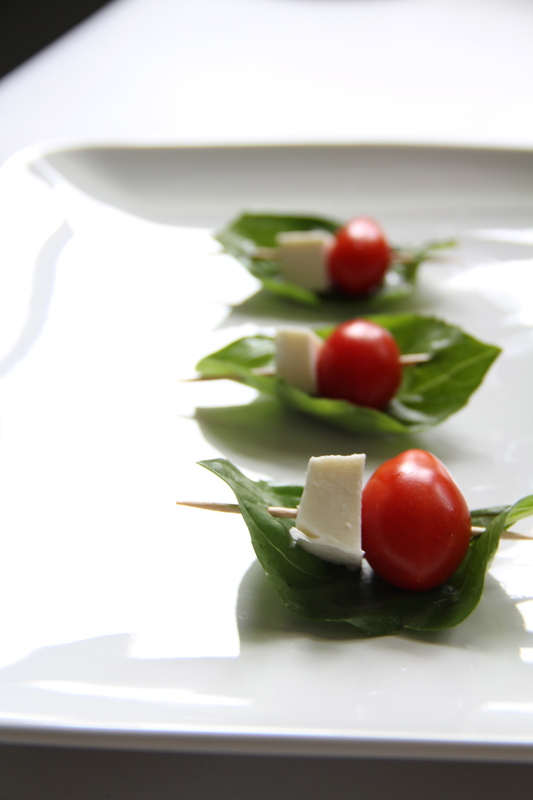 Again with the same toothpick, skewer the tomato and finally the mozzarella. Lastly poke through the other end of the basil and it creates a little boat. This is easy to do the bigger the leaves of basil are. 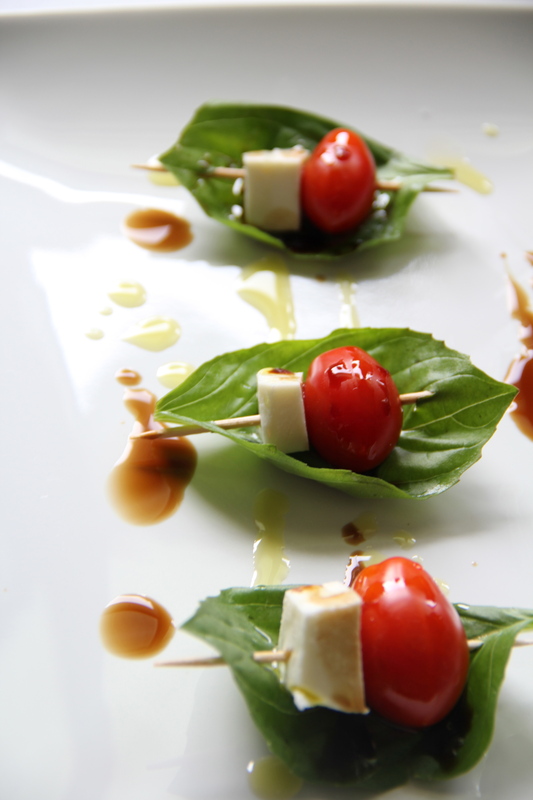 The final step of is to arrange the bites on your serving platter and to lightly drizzle with both balsamic vinegar and olive oil. 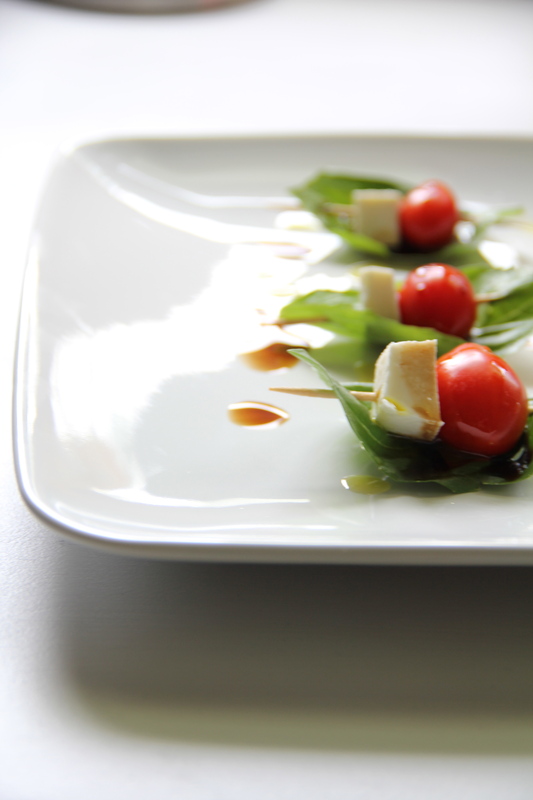 The shape of the leaves help to hold the liquid so each bite is full of flavor. Seriously so easy! Us housewives love to party plan. We hope this inspires you to get some friends together and enjoy a fun little summer party too! Bon Appetit!